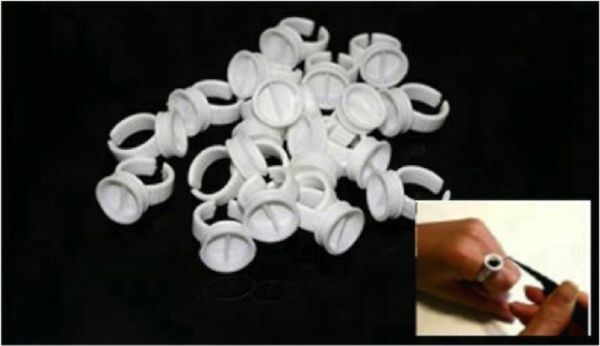 100 Pieces large plastic Eyelash extension Glue Ring for the price of 80 pieces. Large Plastic Eyelash Extension Glue Ring for Easy, Quick, and most important Hygienic application. Put Ring into your finger and put the glue on the ring. For sure it will help you.